Cheesy Chicken with Broccoli And RiceA perfect mid-week family meal! 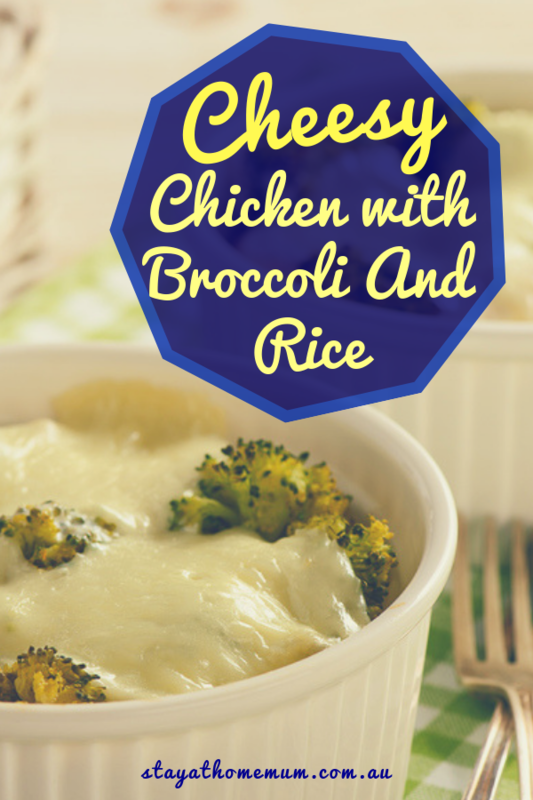 Cheesy Chicken with Broccoli And Rice is one satisfying and delicious dinner. I’d definitely whip this up midweek, or when work and kids collide! It’s easy to put together and incredibly filling. You have meat, rice veggies and loads of cheese! You should definitely bookmark this Cheesy Chicken with Broccoli And Rice recipe. Sauté rice for a couple of minutes. Add the chicken stock to the pan and bring the mixture to a boil. Lower the heat to a simmer and cover the pan with a lid. Cheesy Chicken with Broccoli and Rice can be frozen up to three months. You need a large skillet or pan with a higher edge for this dish to hold everything. I used a 12-inch skillet that had a slightly raised edge and it worked great.